Greetings, friends of the blogosphere. I am okay with being looked down on. I could turn this blog post into a list of all of my accomplishments in the effort to prove the author of that article wrong. I could show her that it is, indeed, possible to have traveled the world and been successful as a young woman with a husband and child(ren). There are countless examples that I could give of other young wives and mothers who are far more well-traveled and successful than myself. Bringing up examples, retorts, and arguments would not, however, change this woman's mind (or the mind of anyone else who may think like her). You see, it all comes down to one thing, and that one thing is quite simple, really. It comes down to happiness. I am happy being a wife and mother at age 25. I am happy because every morning, I wake up next to my best friend in the entire world. Every morning I go into my little girl's room and my heart melts as she smiles at me and reaches for me. No amount of success in the corporate world, no exotic vacation, no amount of fame and fortune could ever make me happier than I am as a wife and mother. You know why? Because my family brings me joy. Being their rock brings me joy. Sure, an all-expenses-paid vacation around the world would be freaking. awesome. BUT. It would be lonely. You want to know where I would be if I was not married with a baby? I would have a successful career, one in which I would do quite a bit of travelling and probably make a decent amount of money. I would have money to spend frivolously, because I would only be worried about myself. I would be lonely. I would be sad. I might feel a little empty. But that's ME. I am different from you. And you. And you. I think that the main thing that bothers me so much is that, as women, we seem to be so divided. We can't just appreciate the fact that every woman chooses to embrace her femininity and womanhood differently. ALL women are strong, whether they decide to travel the world and have a career or stay at home and raise their children. ALL women have purpose, whether they're the CEO of a fortune 500 company or they spend their days running after kids. This whole "war" between women has got to stop. It really makes me mad that we can't see the value in other people's choices (and that we feel that it's okay to judge people based on their decisions). We all have our own paths. Some of us get married and start our families in our 20's. Some of us wait until our 30's or 40's. Some of us choose not to have children. Some of us can't have children. Some of us don't want to get married. Some of us will never find the right person. There is absolutely nothing wrong with any of those paths. Not one is better or worse than the other. They are just different. So let's stop judging one another, let's stop looking down on each other. Instead, let's try to support and love one another and find joy in the fact that each of us chooses to embrace our womanhood in different ways. that article is crap. such a narrow minded person to write something so ridiculous. I did the backpacking, had the good job and pretty awesome degree, but OMG nothing compares to rising a caring for a baby and household. no job has ever been so HARD yet AMAZING all at the same time. and yes, happiness is all that matters. The author is completely entitled to her opinion, but I am also entitled to mine and I think it was crap. I'd like to sit down with her and her mother and see how easy her mother would say it was raising a child. As a 22-year-old getting married in a few weeks, I'm not sorry about it. Family is first for me and I'd be a much lesser person without my soon-to-be husband and I would imagine most married couples/parents feel the same way. Maybe someday down the road she'll get it. I agree. That article was very faux-feminist, but I think it was written just to egg people on, so I tried not to get emotionally involved in this one. ;) I'm also not a wife, nor a mother, so it doesn't affect me yet. I did love your response though! I am so glad you've been blogging recently! The author has every right to express her opinion but personally, I think she has some real issues she needs to talk to a therapist about. You have chosen your path and that's the right path for YOU and it's the path that makes you happy. I do agree with the woman on a couple of points actually. 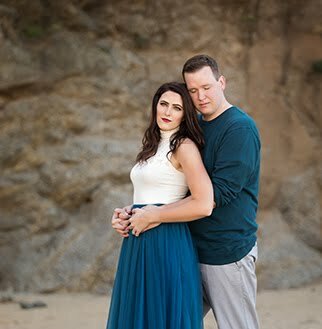 As someone who waited until her 30's on purpose to try and have children so that I could accomplish a million other things, it does frustrate me that the thing that was most celebrated in my life thus far was my wedding and since then I have received almost every day the question as to when I was going to start having children. Why wasn't there a shower when I hit the 50 country mark? Why wasn't there a shower when I graduated from College in 3 years with 2 majors by the age of 20? What I don't agree with her on, and what I agree with you 100% on, is that everyone has their own path and we shouldn't judge others paths. I think women who want to have 5 babies and aspire to be a stay-at-home Mom are awesome. It's never ever something that I wanted or would want to do, but that doesn't make it any less awesome. Proud of you. That was a lot of my thoughts as well. I read it, got all mad, laughed about how women with children will never be as amazing as "engineers" because I'm going to get my PhD in engineering in the next year, and bah, it doesn't feel as important as teaching Riley Girl how to properly navigate stairs, or the joys of ripe strawberries. We have to remember that just because we want different things doesn't mean anyone is wrong. That article was just mean. I kind of skimmed over the article, and in the end all I thought was...meh. I felt like this woman was so far out of the orbit of Earth and real people with real thoughts and real feelings that she wasn't even worth a reaction. Quite possibly, I suspect, she had her soul surgically removed at some point. I seriously can't believe that article!! I can't remember ever having read something so judgmental...I sort of feel like she wrote it on purpose to get traffic, but still. Ew. My best friend can't wait to be married and have a family whereas the idea terrifies me...but that's okay!! We're all different and we all have different goals and we should all be able to pursue those goals without other women looking down on us...that article is written by a "grown up mean girl" !! What I don't understand is why someone would need to write an article about this. Like, mind your own business, go deal with your life, and if someone is living their life in a way you don't like then just ignore it. I read that article and...man... so much controversy. So many people hated on this article. i don't agree with her, but some of the comments and responses on her blog were very mean! I feel sorry for her to have such an opinion, but I don't think the comments on her blog were necessary. I love your "response" to the article! Ugh, I also feel like this was an inflammatory type of article - meant to elicit hoopla and that's it. Clearly what is right for some isn't right for others, and vice versa. Respect, people. Get some. I love this post so much. I love you for choosing the high road. You bring up so many incredible points, and I absolutely agree. Also, this whole thing about men not being applauded if they took on "women's tasks" like staying home with kids -- totally not true. Ammon wants to be a stay at home dad, and we have way more people who are supportive of it, and cheering him on than we do naysayers. So this whole "I judge others" thing. I just don't get it. It just opens the doors to unhappiness and hate. I cannot stand when people decide to judge everyone's existence based on how they want to live their life. What a crap article. I really appreciated your response. It was level-headed and honest which can be difficult. YES YES YES. you go girl. Everyone has their own dreams and it doesn't mean that one persons dreams are lesser than another's. We need to come together and stop judging each other for the paths we go down in life. It's ridiculous. Man... This one was eating at me so bad that I had to bring it up in therapy last week. LOL. I agree with you wholeheartedly that there are so many different paths and ways that us women can embrace our femininity and womanhood and all of those paths are valid and have a purpose. That said, as much as I hate to admit this publicly... There was an internal familiarity to the vitriol of that the TC author was putting forth. While I think her choice to make it about all women's choices rather than her own feelings about her individual choices in life was incredibly immature, I remember feeling similar angry feelings in regards to young marriage and having kids not long after my ex-husband and I split. When I look back to my early 20s, I see a girl who didn't know crap about anything. I just wanted people to approve of me.... and I happened to be going to a church that had a lot of people who made it their prerogative to point out at every turn how I shouldn't bother with engineering school and that I needed to get married and soon. While I thankfully didn't listen on the point of engineering school, I did listen on the point of marriage and it's one of my life's HUGE regrets... and it's very difficult for me to look back on that time of my life and not feel some degree of anger toward the people who encouraged me into a young marriage that I was nowhere near ready for... and while I know that there are plenty of people (like yourself!) who getting married and having kids young was the right path for... I definitely bring my own baggage to the table when I worry that it's a risky decision. Wow, that article is really awful. Honestly, the person that wrote it sounds very immature. I am not a mom - I'm a 29 year old working girl with a boyfriend of almost 4 years who loves to travel. And I just want you to know that not all of us women feel this divide! I respect everyone's occupation and life choices, and truly believe that being a "stay-at-home mom" is a huge job in itself! ( Not to mention working moms, or moms who work from home- major props!!) Having a family is an amazing thing, no matter at what age. NO ONE should look down upon that, or think that kind of negative opinion is an article worthy of sharing. No matter what the future brings for me, I'd like to have the option to work or not work when I have kids. And I don't plan to stop traveling and seeing the world - I plan to take my children on our next adventures! I'm glad you wrote this post - women should stand together and respect each other!